Advanced driver assistance systems (ADAS) have already proved to be highly effective in enhancing road safety, so that now an increasing number of new vehicles are being equipped with the systems. The technology is indeed a great help as it allows drivers to reduce and even to avoid the most common traffic accidents. Besides, ADAS becomes smarter each day, the price is getting lower, which’s truly pleasing. Therefore, today more and more vehicles, rolling off production lines, are already ADAS-equipped. Meanwhile, earlier cars are as well being actively equipped with the technology (the so-called aftermarket segment). This particularly applies to commercial vehicles involved in passenger transportation, heavy and dangerous goods delivery. There are also countries in which ADAS installation can be promoted by legislation. When registering dangerous situations, ADAS basically warns a driver by indication, sound signal, vibration. So called passive control. Though, in case the system has more complex integration with a vehicle, it can be active: stop a car, automatically prenevent an unintended lane departure, etc. ADAS functionality helps not only drivers but fleet owners and insurance companies as well. To achieve this, ADAS systems are integrated with telematics platforms. At the hardware level, the ADAS system is connected to an on-board telematics terminal (AVL) via a serial interface, for ex., RS-232. When an accident occurs, ADAS equipment generates information signals and transmits them to a telematics device. 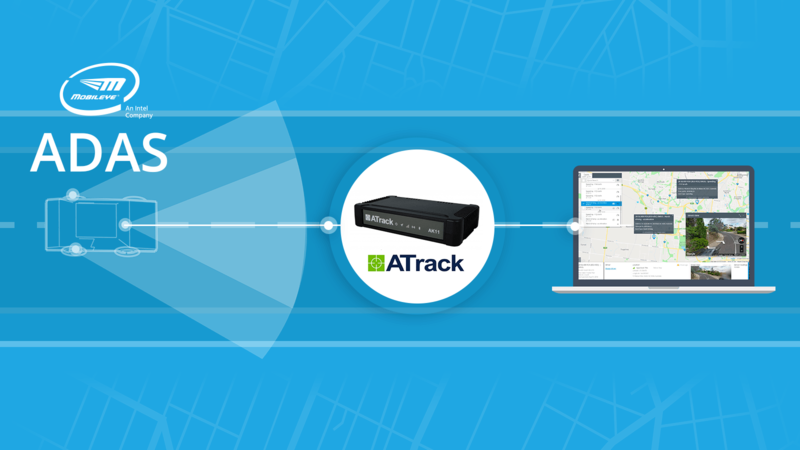 Then, this device redirects the signals to a telematics cloud platform via a GSM network. To be viewed by a dispatcher, a manager or a driver, information is aggregated and displayed in a visual form: map notifications, reports, graphs, and recommendations in drivers’ mobile apps. Integration of ADAS systems with telematics platforms opens up previously unavailable opportunities for commercial fleet owners, transport and insurance companies. Thus, ADAS can be used not only for enhancing road safety and avoiding traffic accidents but also as means of developing a better driver control by analyzing types and frequency of violations made by a particular driver. 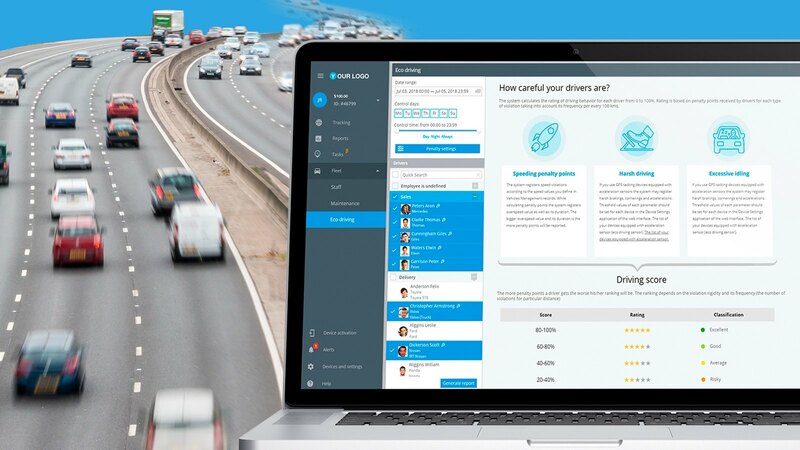 By receiving extensive information on each driver violations, companies will be able to сonsistently work towards improving their employees driving behaviour and will get a more accurate assessment tool. Besides, the information can be used to organize certifications and retrainings. Insurance companies can also apply a differential approach to calculating insurance premiums based on automatic analysis of their clients’ driving skills. And finally, in case of an accident, the systems allow to increase reaction time: it becomes possible to quickly assess the situation and send timely assistance. All these factors in combination help cut down transportation costs, increase drivers responsibility and reduce legal and financial risks.